A canal tour, the undisputed number 1 thing to do in Amsterdam! A canal tour is a definite must do for everyone visiting Amsterdam. Without a doubt the Amsterdam city centre is one of the most beautiful in the world. The main reason for that is the gorgeous canal system. Centuries ago developed as a means of transport, they now form the unique backdrop of the city. There’s no better way to enjoy this than by taking a canal tour in of one of its many forms. Amsterdam has dozens of companies with many more websites offering canal cruises. Together they have hundreds of different tours and boats on offer. Most boats are operated by professional skippers, other boats you may sail yourself. There are large tour boats, sloops, saloon boats, small electric rental boats, pedal boats and kayaks. Some include catering, others do not. And apart from all the canal tours, you can also make a harbour tour. How to find the best Amsterdam canal tour for you? 3. go directly to the Best Deals section. A boat tour on the Amsterdam canals is by far the most popular attraction in the Netherlands. It is the favourite way of sightseeing and relaxing for locals and tourists alike. Therefore, most companies offering boat tours are very busy on weekends and holidays, often resulting in long waiting times or even fully booked tours. Also several tour types require some preparation and cannot be booked last minute at all. Therefore, we strongly advise to book your canal tour in advance. 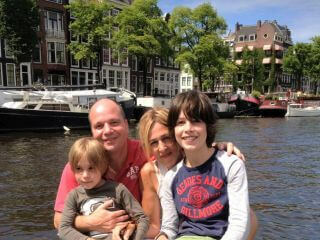 A canal tour, the number 1 thing to do in Amsterdam! A canal tour is a must do for everyone visiting Amsterdam. Without a doubt the Amsterdam city centre is one of the most beautiful in the world. The main reason for that are the gorgeous canals. There is no better way to enjoy these than by taking a canal tour in of one of its many forms. 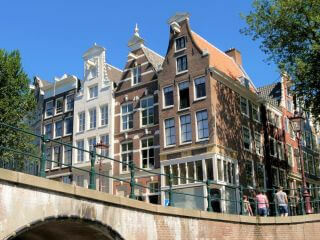 Amsterdam has dozens of tour companies with hundreds of different canal tours on offer. Most boats are operated by professional skippers, other boats you may sail yourself. There are large tour boats, sloops, saloon boats, electric rental boats, pedal boats and kayaks. Some include catering, others don’t. And last but not least: there are harbour tours as well. How to find your best Amsterdam canal tour? 3. go directly to the Best Deals. An Amsterdam canal tour is by far the most popular attraction in the Netherlands. Therefore, most companies are very busy on weekends and holidays, resulting in long queues or even fully booked tours. Also several tour types cannot be booked last minute at all. Therefore, we strongly advise to book your canal tour well in advance.